Watch in 720p fullscreen if you can (via cog wheel button). 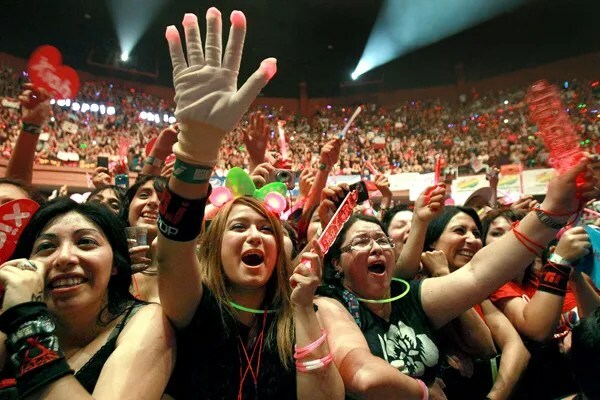 Fans cheer on K-pop group JYJ during the group’s concert at the Teatro Caupolican in Santiago, Chile, last Friday. 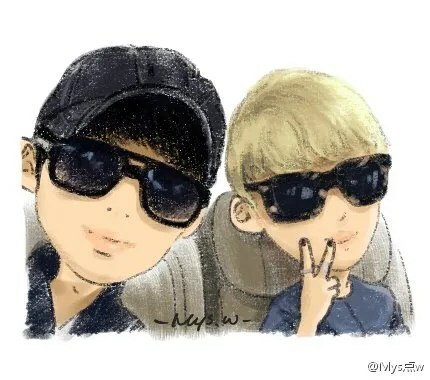 Provided by CJeS EntertainmentSANTIAGO, Chile – The Teatro Caupolican in Santiago was packed with screaming fans from all over Chile and abroad, cheering on K-pop group JYJ last Friday. 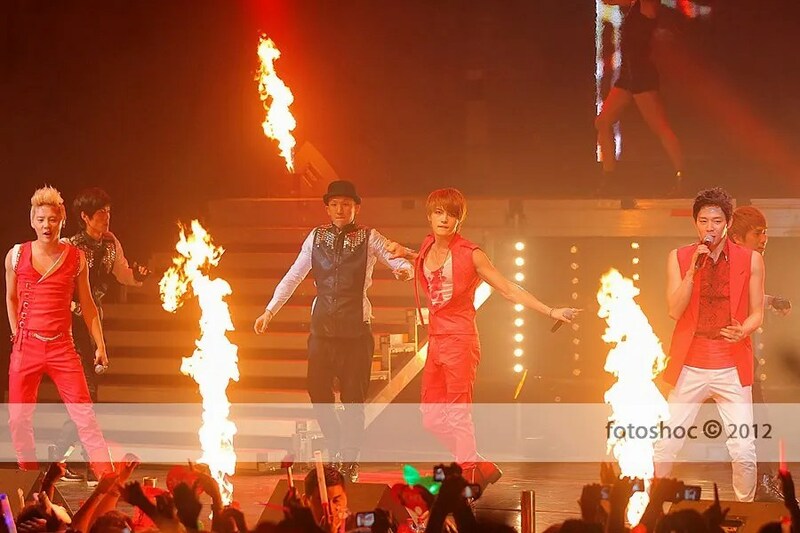 JYJ members, from left, Jae-joong, Yu-chun and Jun-su, perform in Chile last Friday. As the crowd shouted, “La colita [Shake your booty]! 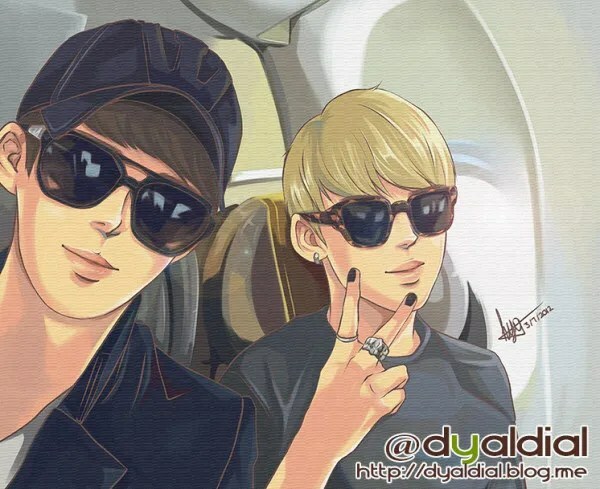 La colita!” the three members of JYJ – Jae-joong, Yu-chun and Jun-su – turned around and did a short booty dance in response. 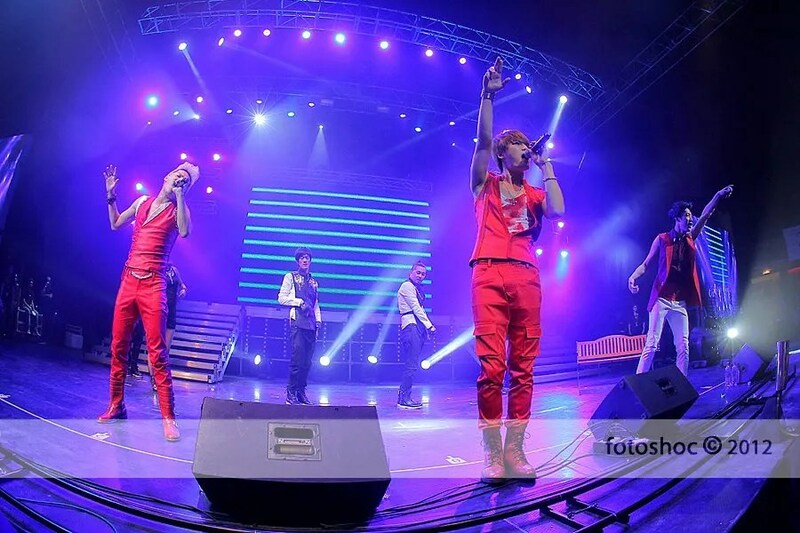 The concert was a first, not only for the group, but for any Korean pop group to perform as a solo act in Chile. 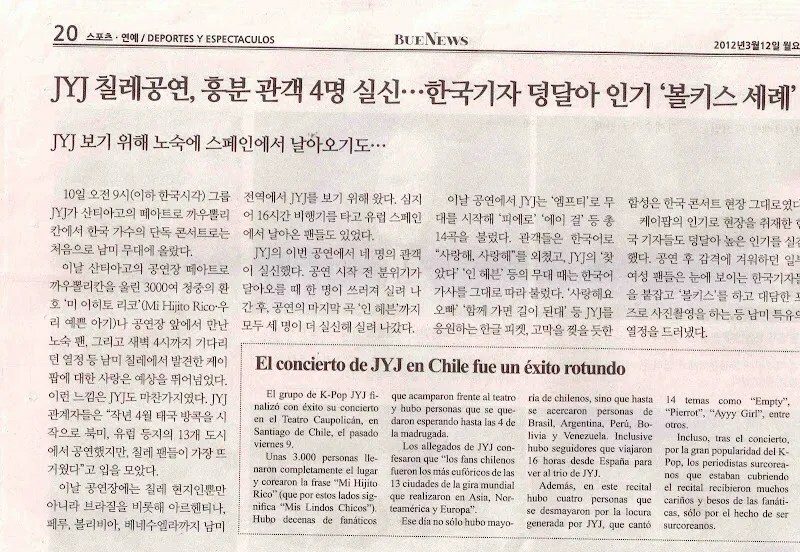 The group’s agency, CJeS Entertainment, said that JYJ’s 14-city world tour is the first solo concert for any Korean musical act in Spain, Germany or South America. 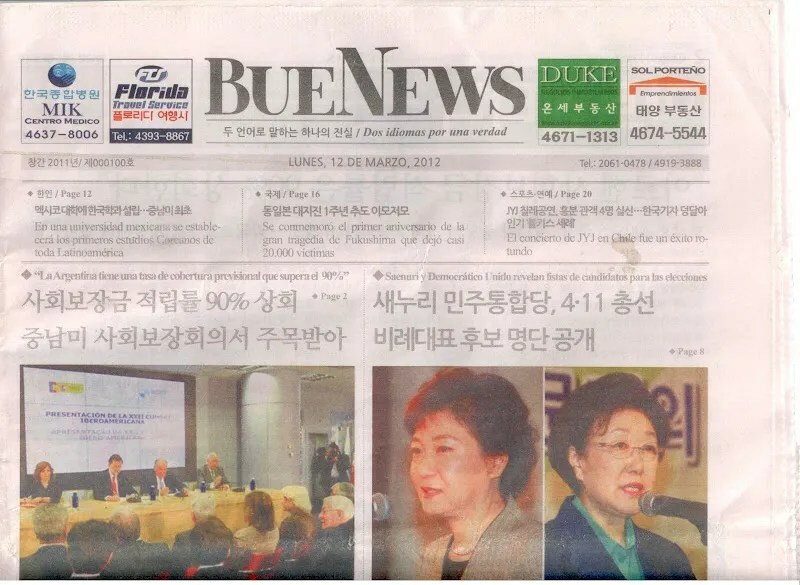 “The members of JYJ are the first Korean artists to hold a solo concert in these parts of the world and also the first Korean act to complete a world tour of this scale,” CJeS Entertainment said in a press release.